This is Smith Tower, located in Seattle. It is an iconic building that defines the skyline of the city. 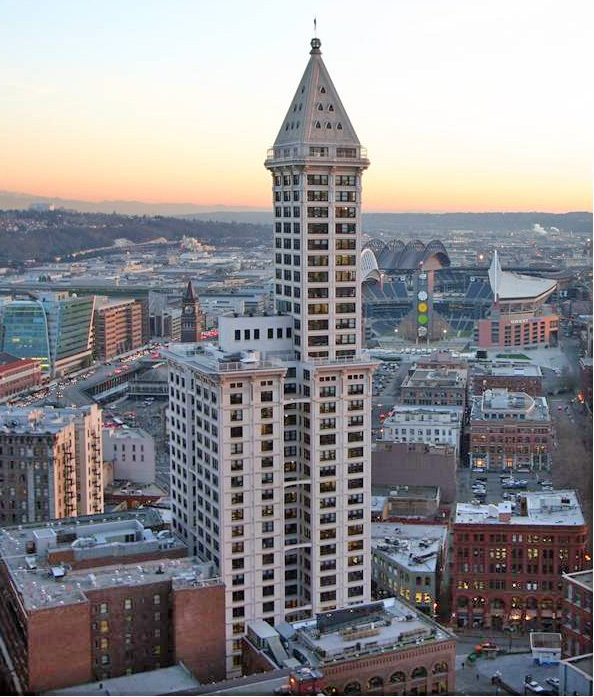 Completed in 1914, the building was the tallest building on the west coast until another Seattle landmark, the Space Needle, took the honor in 1962. After restorations in the early 90’s, the pyramid atop the building was converted to a beautiful, but un-traditional living space. It is currently occupied by artist/investor Petra Franklin, husband David Lahaie, and their two daughters. Truly a unique environment that takes full advantage of its views.